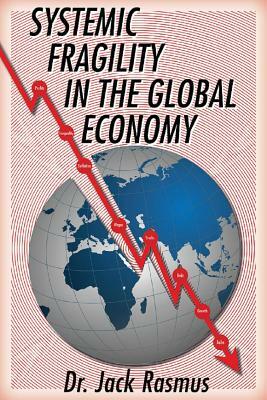 Just as contemporary economics failed to predict the 2008-09 crash, and over-estimated the subsequent brief recovery that followed, economists today are again failing to accurately forecast the slowing global economic growth, the growing fragility, and therefore rising instability in the global economy. This book offers a new approach to explaining why mainstream economic analyses have repeatedly failed and why fiscal and monetary policies have been incapable of producing a sustained recovery. Expanding upon the early contributions of Keynes, Minsky and others, it offers an alternative explanation why the global economy is slowing long term and becoming more unstable, why policies to date have largely failed, and why the next crisis may therefore prove even worse than that of 2008-09. Systemic fragility is rooted in 9 key empirical trends: slowing real investment; a drift toward deflation; money, credit and liquidity explosion; rising levels of global debt; a shift to speculative financial investing; the restructuring of financial markets to reward capital incomes; the restricting of labor markets to lower wage incomes; the failure of Central Bank monetary policies; and the ineffectiveness of fiscal policies. It results from financial, consumer, and government balance sheet fragilities exacerbating each other -- creating a massive centripetal force disaggregating and tearing apart the whole, untamable by either fiscal or monetary means. This book clarifies how the price system in general, and financial asset prices in particular, transform into fundamentally destabilizing forces under conditions of systemic fragility. It explains why the global system has in recent decades become dependent upon, and even addicted to, massive liquidity injections, and how fiscal policies have been counterproductive, exacerbating fragility and instability. Policymakers' failure to come to grips with how fundamental changes in the structure of the 21st century global capitalist economy-in particular in financial and labor market structures-make the global economy more systemically fragile can only propel it toward deeper instability and crises. An appendix describes three simultaneous equations that express in notational form the variables associated with the Theory of Systemic Fragility.